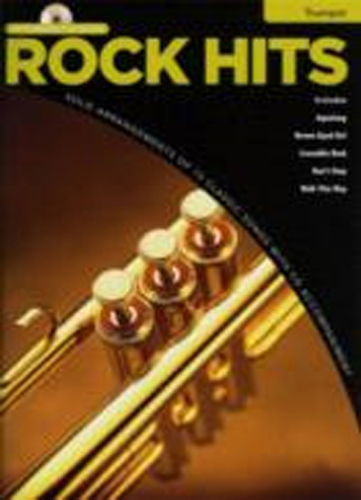 Rock Hits Instrumental Playalong Trumpet Book & CD. This music book contains 15 classic rock hits specially arranged for Trumpet with play-along accompaniments on CD. Songs include: Aqualung, Best of My Love, The Boys Are Back in Town, Brown Eyed Girl, Crocodile Rock, Dont Stop, Fly Like an Eagle, Free Bird, Gimme Some Lovin I Want You To Want Me, Low Rider, Maggie May, Owner Of a Lonely Heart, Walk This Way and White Wedding.